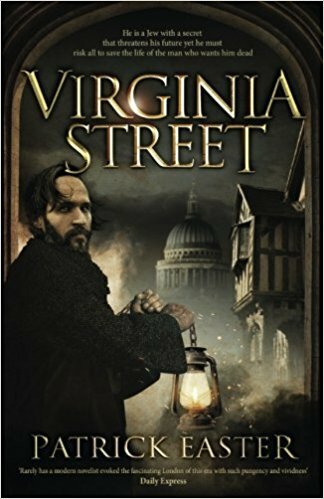 It’s difficult for most of us to imagine what life was like in the England at the turn of the 19th Century, the period in which Virginia Street was set. Law enforcement was largely a matter for the individual who, if he or she felt sufficiently aggrieved, was expected to produce the body and the evidence before the courts. The concept of a professional police was frowned on and regarded as means of political suppression as was the case across the Channel in revolutionary France. Crime prevention was to be left to a rag-bag assortment of folk of varying degrees of incompetence, including the militia, a few part time constables attached to magistrates’ courts – like the Bow Street Runners – and a few, and mostly elderly, parish appointed watchmen. None were required to actually investigate crimes. Small wonder, then, that violent crime should be so prevalent on the streets of all major towns in the UK in the last years of the 18th and the beginning of the 19th Centuries. Nor was the situation helped by the huge social and political upheavals of the period. The years of war in Europe and America, the 1798 uprising in Ireland and its brutal suppression by the army, and the continuing suspension of Habeas Corpus four years earlier all played a part in the disruption of daily life. According to Patrick Colquhoun, a magistrate in London at the time, ten thousand men in the capital (of a total population of under a million) got up in the morning not knowing where they would sleep the following night. On the Thames, a ship bound for the Port of London would typically lose up to a third of its cargo to piracy. In essence, by 1800, the country was bust and was facing the threat of invasion from across the channel every bit as daunting as that of 1940. A French raiding party had already succeeded in landing on the West coast of Ireland and was to lead (Prime) Minister Pitt in his attempts to abolish the (almost exclusively Protestant) Irish Parliament and bring the island into full union with the UK. But if his initiative was meant to bring to an end the simmering resentment that existed between the two peoples, it didn’t work. The open sores of the 1798 uprising ran too deep. The thousands who left Ireland in the wake of the uprising and settled in London and elsewhere in search of work were regarded with a sense of loathing and suspicion and, along with Jews and Lascars, occupied the lowest ranks of the social order. Into this toxic atmosphere stepped a Portuguese Jew, a man named Emanuel Lazaro who, for nearly thirty years had served the largely Irish community in and around the Shadwell and Wapping areas of east London as a Roman Catholic priest. His base in Virginia Street near the junction of the modern Highway (then called the Ratcliff Highway) was a small, non-descript building that carried no outward sign of its purpose as a chapel. To have done so would have been to invite the attention of the mob. Yet Emanuel hid a secret that had the potential to destroy him and which forced him to live his life in isolation from Jews and gentiles alike. When a young Irish Catholic was attacked and beaten outside the door of his church, it set in train a series of events for Emanuel that were to threaten his life and the lives of those around him. And when, three weeks later, the body of one those responsible for attacking the Irishman is found face down in the Thames, things go from bad to worse as Emanuel seeks to discover the truth and comes face to face with an old enemy, a man Emanuel has known since the former was a child. The relationship between these two men forms the central theme of the book and when his enemy is charged with a murder he didn’t commit, it is Emanuel who holds the key to his survival. Under the seal of the confessional, the priest has learned the identity of the real killer. It is a secret he is bound to keep yet if he does, an innocent man will die. But the alternative is equally hard. To tell what he knows to be the truth would not only lead to his own downfall but perhaps the deaths of many. A good deal of the story told in Virginia Street, is true or at least as close to the truth as any historical account can ever be. The plight of the Jews and the Irish in England has not, I hope, been glossed over. Nor have the dreadful events in Ireland in. the Summer of 1798 been short changed. Many of the characters who find their names appearing in the book were real people making decisions in the light of their available knowledge. As for Emanuel, very little is known of him to history. While it was (and remains) unusual for Jews to practice the Christian Faith, it was a legal requirement in Spain and Portugal that every citizen should be a fully baptised Christian – effectively a Catholic. And as evidence of their apostasy, Jews were required to attend Mass every Sunday. While there is every reason to believe that Jewish citizens obeyed the law, there is at least a suggestion that they continued to follow their Judaic faith in the privacy of their own homes. Emanuel appears to have been different but, in leaving the faith of his ancestors, he was effectively shut off from his own people and must have led a rather lonely life in London. 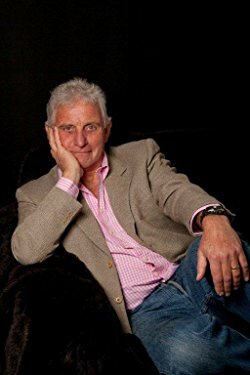 Patrick Easter is the author of four previous novels that follow the fortunes of Tom Pascoe and the newly formed Thames Police based at Wapping. Patrick was himself a former police officer in London and for part of his service was based with the river police. On retirement he became a freelance journalist for international publications covering advanced traffic control systems throughout the world. His first book, The Watermen, was published to high. Acclaim in 2010 and was followed by The River of Fire, The Rising Tide and Cuckold Point. He lives in Sussex with his wife and their two dogs.